As L150 model. Also includes a built-in audio recorder - a first in the market. As L150 model. Also includes a battery recharging system where you don't have to worry about overcharging or draining the batteries. 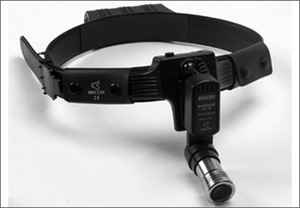 • All probes are interchangeable with all hand-held and table-top Dopplers. • Superior sound quality design and advanced probe sensitivity that eases the exam, and saves valuable time. Featuring a stereo speaker in every unit. • User replaceable probe cables – if your cable ever gets damage it can be replaced by any standard phone cable. • Significant increase in battery life in all of our Doppler systems – up to 400% in certain models. • Three AA batteries as opposed to traditional 9 volt Doppler batteries. SD2 - 2MHz Probe Optimized for deep penetration and third trimester pregnancy. SDE–EchoHeart Transvaginal 5MHz Probe Optimized for earlier foetal heart detection and ideal for retroverted and obese patients. It is used when transvaginal imaging is too costly or inconvenient. SDW - 2MHz Waterproof Probe Obstetrical use in water applications, and in the labour and delivery department where the probe needs to be waterproof. SD4 - 4MHz Probe Designed to ease location of blood vessels. 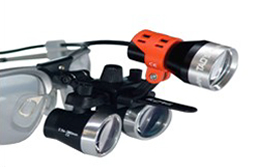 The broad, wide-angle beam has internally tilted crystals that are optimized for quickly locating vessels. SD5 - 5MHz Probe Designed to ease location of deeper vessels. The medium width beam and pencil-style shape provides optimum sensitivity and ease of use. SD8 - 8MHz Probe *The best general purpose vascular probe. * Designed to ease location of surface vessels. The narrow beam and pencil-style shape provides optimum sensitivity and ease of use.